This handset is successor of Xiaomi Redmi 1S with some improvement; featuring 8 MP camera, 4.7 Inches screen, Snapdragon 410, 1 GB RAM and 2200 mAh battery. The design is similar to Redmi 1S but slightly lighter in weight. Half of the phone towards front has black coloured plastic while other half towards rear has 5 different colour variants i.e. Black, White, Yellow, Pink and Green. With dimension of 134 x 67.2 x 9.4 mm it’s very comfortable to hold in one hand with Good build quality. 4.7 inches screen with 720p resolution and 312 ppi display density produces sharp images; fonts are visible even in sunlight; and that display is protected with Dragontrail glass. Capacitive buttons in red printing doesn’t have backlit. It is powered with 1.2GHz Qualcomm Snapdragon 410 SoC with 1 GB RAM runs Smooth but can’t afford too many applications and sometime mobile start heating near camera. 2200 mAh battery is better than Redmi 1S but what can we say if they not resolved the heating problem as it was already one of major problem in the Redmi 1S. Support for LTE (4G) on both SIM cards. There is a notification LED. AGC Dragontrail glass Protection for screen. Its 8 MP rear camera clarity is Nice. Applications can't be move to External SD card. No earphone is included along with handset. Call Voice quality is slightly noisy. 1. Issue with push service- Not getting any notification for E-mail, Whatsapp, Line, Wechat etc. Set permission allow on side screen > security > permission > auto start >" and select app you want to receive notification for. 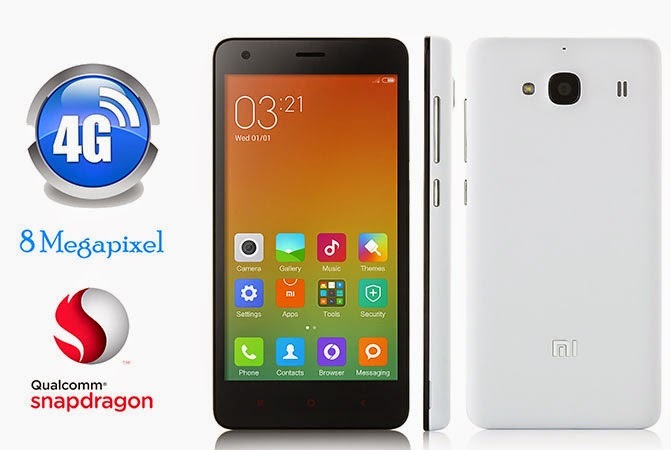 Best thing about this handset is that it has great features in such a low price but the Xiaomi is unable to resolve some problems associated with this handset such as heating problem, fast battery drainage problem. The camera quality is nice as it takes good sharp shots. In budget consider as one of best phone but the mentioned disadvantages doesn’t matter to customer.